Today is May 5th or if you have Mexican-American heritage, Cinco de Mayo! 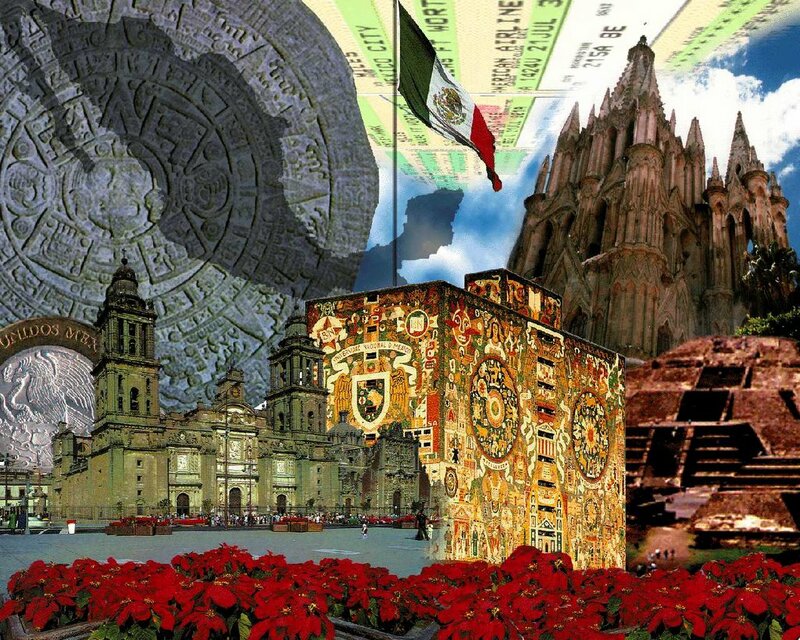 Though it is primarily a holiday celebrated in the US, it commemorates the day when Mexican troops defeated French forces at the Battle of Puebla on May 5, 1862. When you aren’t from south of the border, Cinco de Mayo is just another great excuse to enjoy Mexican cuisine! When I was only 15, I spent two weeks in Mexico City on a study tour. I can still remember the sights, smells and especially the taste of authentic Mexican cuisine. Though these certainly aren’t as authentic as what we ate, here are a few recipes that might give tonight’s supper a special flare. Oh, and be sure to add some lively music to your party! Cut tortillas into thin strips and place on greased or oiled cookie sheet. Bake at 400 degrees for 10 minutes. Turn oven off and allow to cool. Cook chicken breasts and cut into cubes. Set aside. In oil, saute onion and garlic until translucent. Add tomatoes, beans, garlic, spices, broth, and chicken. Simmer for 15 minutes. In serving bowl, place 1/2 cup. cheese. Ladle soup over cheese and top with tortilla strips. Makes 8 servings. or “three milks” cake is absolutely delicious and would be fun for kids to help you make. No one is really certain where tres leches cake originated but many say the recipe first appeared on the back of a can of Nestle’s sweetened condensed milk in Nicaragua in the 1860’s. A rich and moist sponge cake, you can add strawberries or top with maraschino cherries when serving. Can even be sprinkled with coconut or toasted coconut for a different twist. Preheat oven to 325 degrees. Butter a 9-by-13-inch baking dish. In a mixing bowl, beat egg yolks and sugar on high speed until light and fluffy. In another bowl, beat egg whites to soft peaks. Using a rubber spatula, fold whites into yolks until almost combined. Gently fold in flour being careful to not overmix. Spread batter in prepared dish. Bake until golden and pulling away from sides of dish, 20 to 25 minutes. Using a small knife, scrape skin from top of cake; discard. Cool cake 20 minutes. In a medium bowl, whisk together the three milks; pour evenly over cake. Cover with plastic wrap; refrigerate at least 1 hour and up to 1 day. To serve, prepare topping: In a mixing bowl, whip heavy cream with sugar to soft peaks. Chill cake and cut into squares; serve topped with whipped cream.